The fact of the matter is, no matter how safe your school's playground is, accidents will happen. The Basic HSE Playground First Aid Kit in Riga Bum Bag will equip your staff on playground duty to act quickly in the event of an injury. Playtime is important for children, as it allows them to run around and exercise in the fresh air. 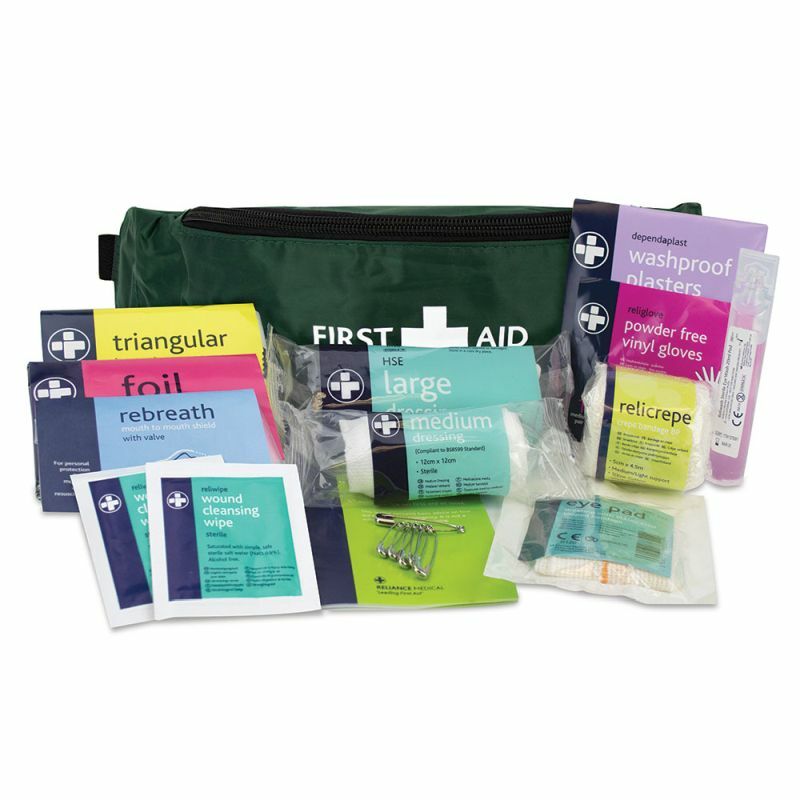 Cuts and scrapes are bound to happen from time to time, so carrying around a portable kit is essential for acting quickly to prevent prolonged pain or infection. What Can You Expect From the Playground Kit? This first aid kit is held in a green zipped bum bag, with adjustable straps, so that staff on duty can respond quickly to playground injuries. The Health and Safety Executive approved products have been identified by professionals as the best materials for treating the most typical accidents. The Basic HSE Playground First Aid Kit in Riga Bum Bag is usually dispatched via First Class Royal Mail and delivery should be within 1 to 3 working days.